The World Bank has just upped its oil price forecast for 2017, saying it now expects average prices to be US$55 a barrel over the next year. That’s US$2 more than its earlier forecast, which is a reflection that at least some shred of optimism is returning to the oil market. In late September, Saudi Arabia managed to persuade its OPEC co-members to consider a reduction in their combined crude oil output in a bid to, as they called it, restore balance to the oil markets. Balance, in this context, invariably means higher prices that would help Saudi Arabia – and other oil-dependent producers – plug growing budget deficits, and help Venezuela and Nigeria stave off a complete economic collapse. As soon as the news about a general mood of agreement among OPEC members hit the global news flows, crude oil shot up, passing the US$50-barrier and staying there for almost a month now, which may well be the longest over-US$50 streak this year. As optimism returns to the market, it spreads, apparently, to analysts, exactly as pessimism does when the pendulum swings the other way. Early this year, when OPEC was pumping at full tilt and frackers refused to give up, oil started slipping to new lows. 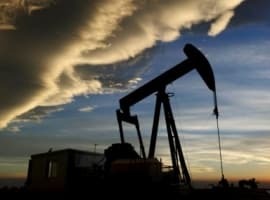 At the time, all the big names in commodity market analysis, including Goldman Sachs, Morgan Stanley, BofA, and Citigroup, warned that crude could really fall to US$20 a barrel. Those were pessimistic times indeed. Fast forward a few months, and we get Goldman Sachs (to pick just one), revising its oil price forecast to a much cheerier US$45-50. A few months more, and a day after that OPEC meeting that gave oil bulls a much-needed adrenaline shot, Goldman’s analysts were playing it safe: WTI would hover around US$43 a barrel until the end of 2016, down from the earlier US$50 forecast, it said. Everyone is playing it safe except for the bolder speculators, and with a very good reason. Just three days after the World Bank released its revised outlook – noting that the OPEC freeze is very uncertain – Iraq said it won’t be taking part in any freezes or production cuts. 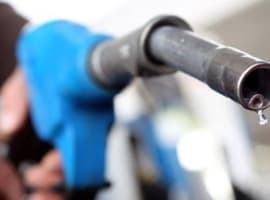 This could very well spell the end of OPEC negotiations, since Iraq is OPEC’s second-largest producer after Saudi Arabia, and has been pumping a daily average of 4.7 million barrels, according to the State Oil Marketing Company’s head Falah al-Amri. Of course, there is still time until November 30, which is when OPEC is scheduled to meet in Vienna for the final decision on a freeze. It is possible that Saudi Arabia will manage to somehow convince Iraq it should play along, although this would be hard, given the exemption granted Iran, Libya, and Nigeria because of the market share loss they suffered for reasons other than the oil price drop. Riyadh would have a tough time explaining to Iraq – which is still mired in its fight with Islamic State and desperately needs all the oil revenues it can get – that it’s “ineligible” for an exemption. This environment of uncertainty is what makes any forecast questionable, even if it comes from the World Bank. For better or worse, the uncertainty is very likely to continue, prompting more forecast revisions. The world is awash in oil, and its not going away. The only reason oil has hit $50 a barrel is because everybody in the industry wants to get and keep it their. 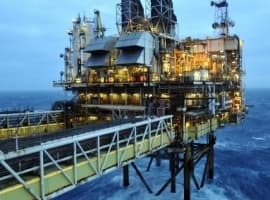 First it was Saudi Arabia, and Russia freezing production, and now its an OPEC agreement, except the reality is that their is still a glut, OPEC members will all cheat, and even if they don't their is more oil supply in the pipeline for every reduction that they say will happen, but likely won't. Also at $55 a barrel supply in the U.S. will start coming back. New technology has lowered the cost of production and the amount of time to bring production to the market, and meanwhile renewables will continue to grow. If the STUPID Global Warming idiots would decide to be serious new technology safe nuclear power could really rip lowering demand for oil and reducing greenhouse gases, although to be honest the idiot Global Warmists appear to be far more interested in prying more billions from Government to line their pockets, and Global Warmist left wing politicians want to use it to gather power rather than any of them actually reducing greenhouse gas emissions.